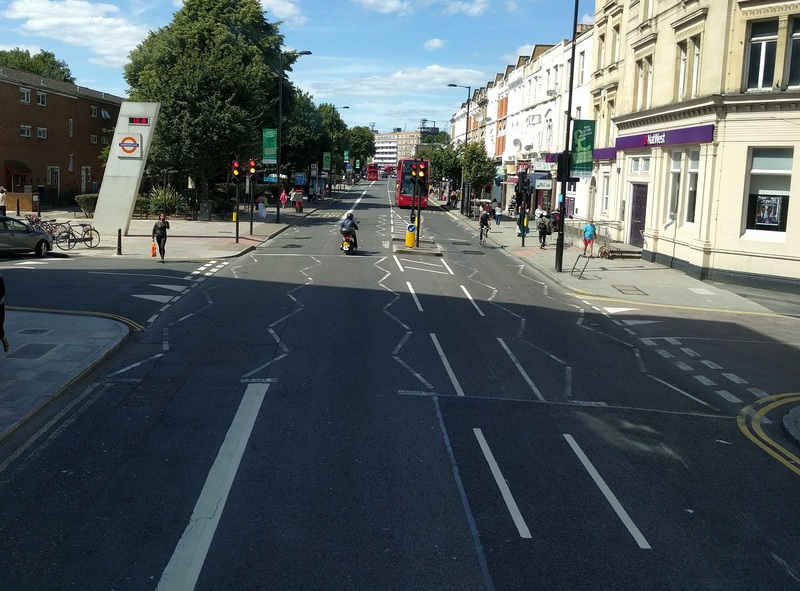 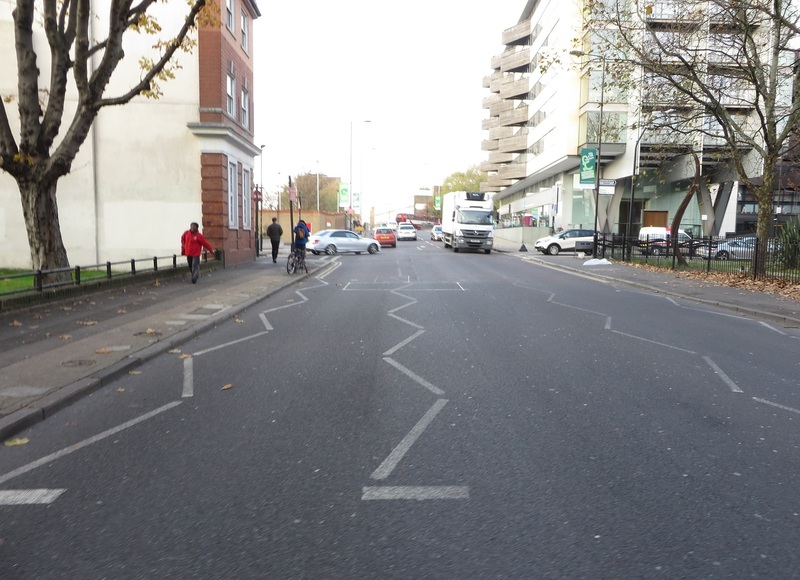 Last year I wrote about the most dangerous junction for cycling in Hackney, locally named as Britannia junction it is located where Pitfield Street, Hyde Road, Whitmore Road and Hoxton Street meet, or if you prefer, where cycle superhighway 1 and the Central London Cycle grid quietway 16 meet. 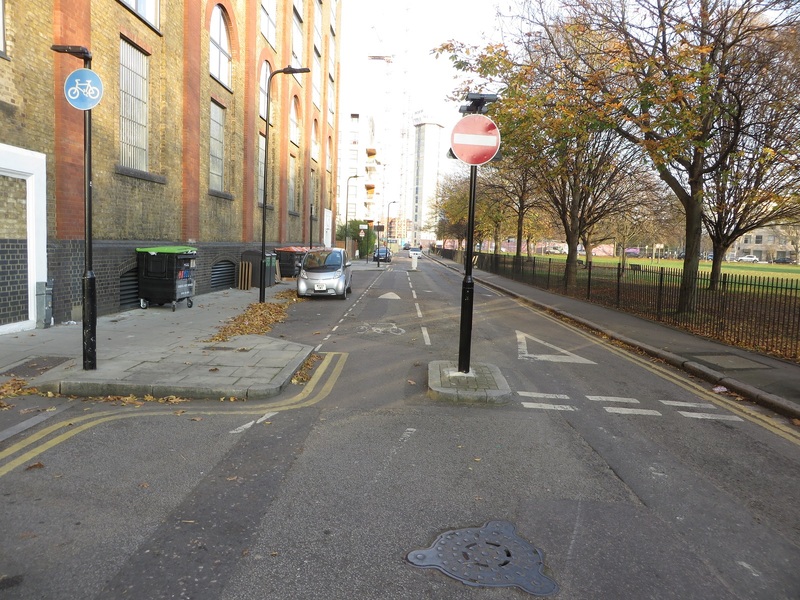 It was converted from a roundabout into a crossroads in 2011 and despite the space available no dedicated cycle provision was provided with people cycling expected to "take the lane" on a narrow carriageway, alongside gigantic pavements. Following its conversion in the three year period to the end of 2014 there were 14 casualties for cyclists at this junction, more than double the amount of cycling casualties than any other junction in Hackney. The times also reported that this was the 7th most dangerous junction for cycling in the entire UK. 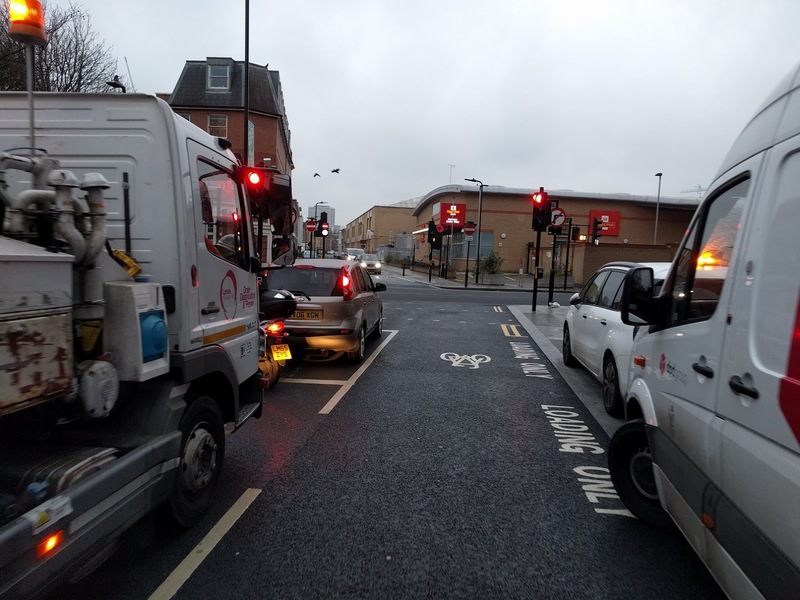 Whilst motor traffic continues to cross CS1 westbound, travelling from Whiston Road and the A10 to New North road, the only motor traffic going eastbound across this junction are from residents living along Penn Street and Hyde Road or those driving back from the Britannia Leisure Centre. The junction is still far from perfect and I've had a few near misses this year where drivers have failed to give way as they cross it but at least the majority of the time you now only have to beware of this happening in one direction, instead of two. 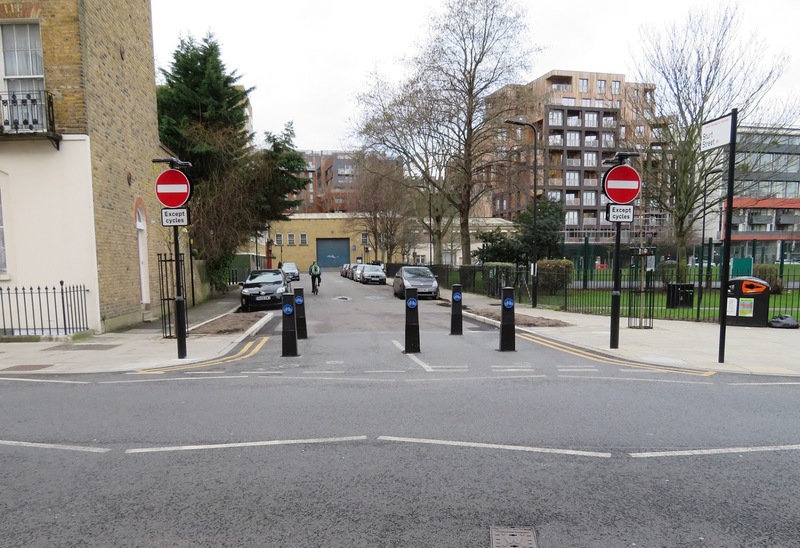 Once the regeneration of the Colville Estate has been completed it would be a real shame if the road was reopened in both directions and I would hope this long, enforced experiment would be enough to convince Hackney Council that keeping the road one way for motor traffic and two way for people cycling makes for a safer junction. 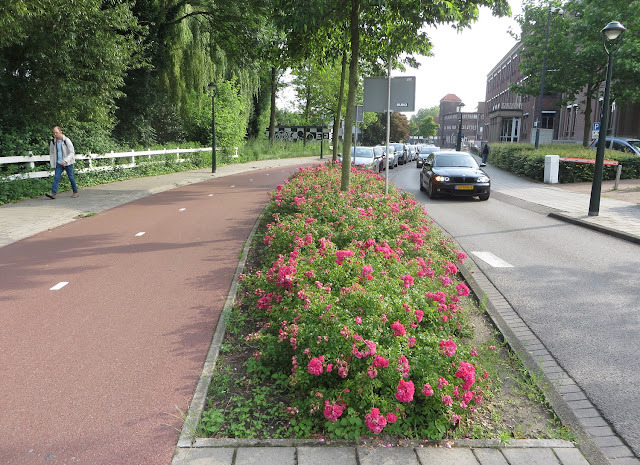 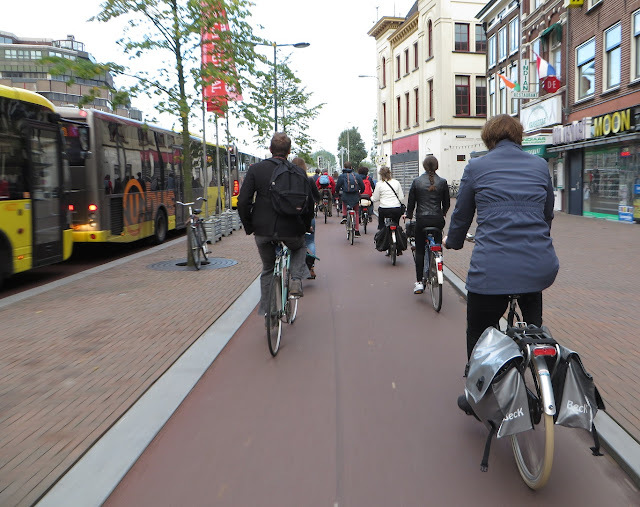 This cycle track in Eindhoven links the university with the centre of the city, via the John Cleese "silly walks" Tunnel under the railway lines. 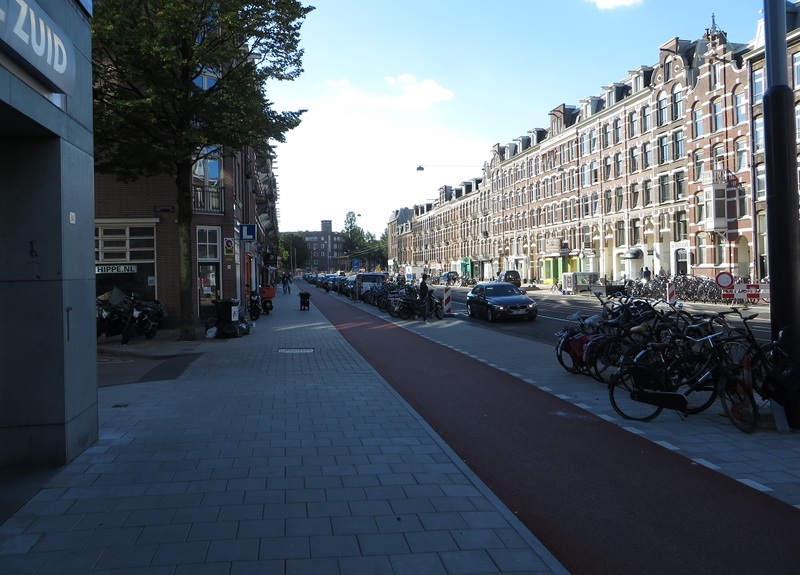 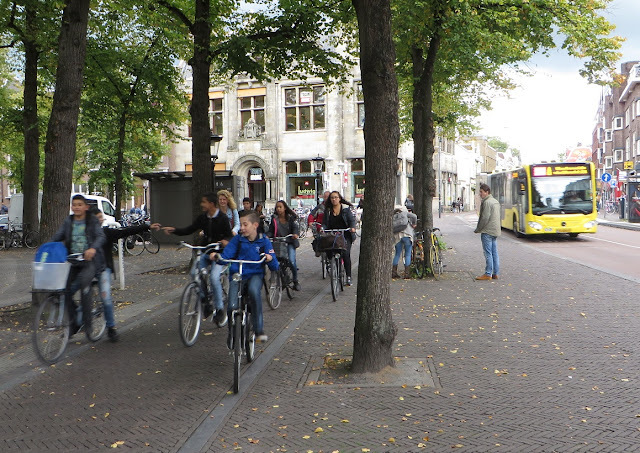 It is one way for motor traffic and provides a direct, quick route through the centre of the city. Hi Shulem it's because one way roads are not good for safety of pedestrians or cyclists. 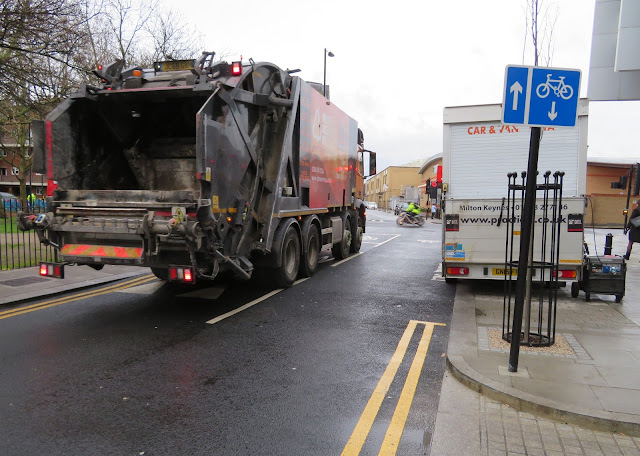 We're actively trying to remove them. 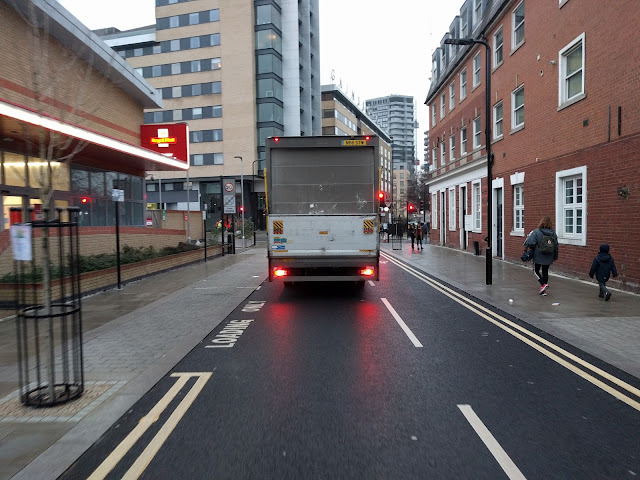 I find this particularly bad in the morning peak, where vans and taxis especially use it to cut down Haberdasher Street and onto Old Street via Coronet Street, something that was impossible to do before CS1. This scheme has created new routes for drivers and encourages rat running. 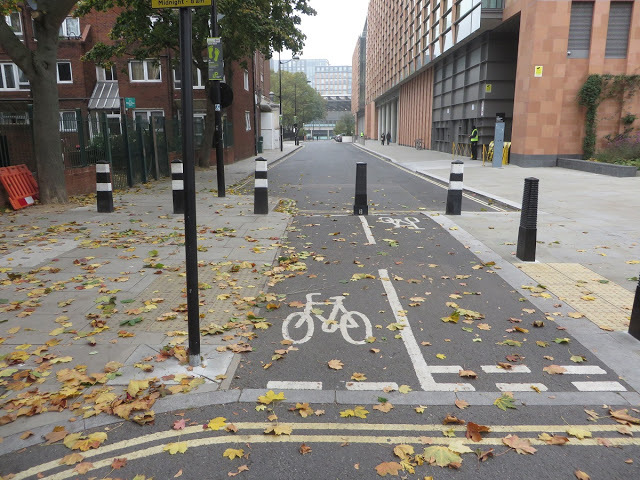 Whilst the removal of large one way gyratory systems designed to enable more motor traffic capacity is welcome (ideally with protected cycle tracks, as is happening in Stratford), turning roads one way can be an effective way to reduce levels of motor traffic whilst providing a better environment for people walking and cycling. 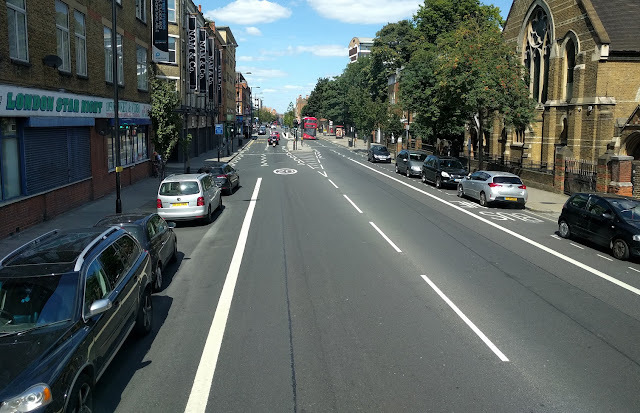 Hackney Council have pledged to improve both Pitfield Street and Britannia junction and I hope making some or all of it one way for motor traffic will be considered. 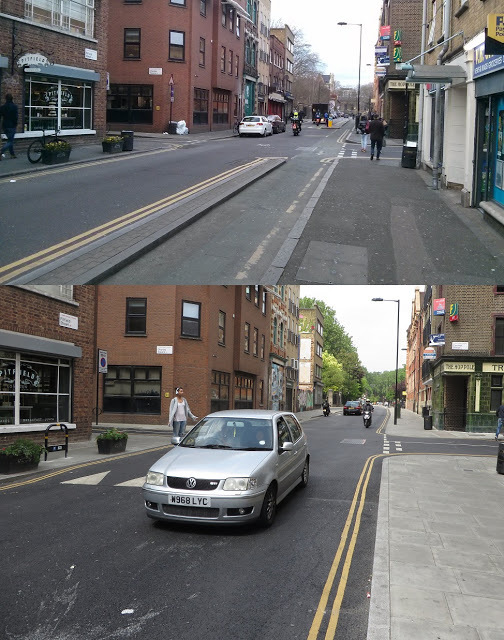 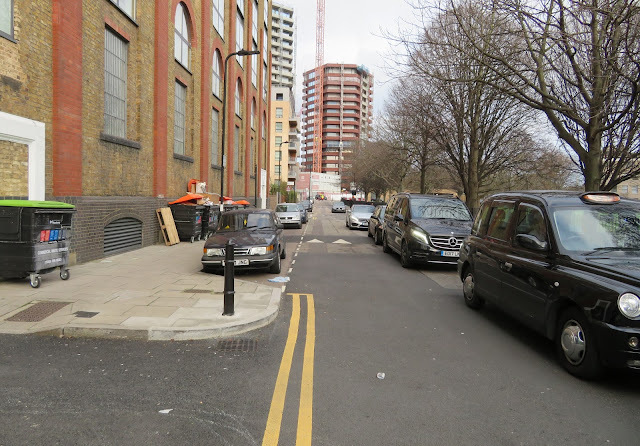 Certainly reopening Penn Street to motor traffic in both directions once the regeneration is complete and reintroducing the East to West 'quietway' motoring rat run through the most dangerous junction for cycling would be a huge step backwards. 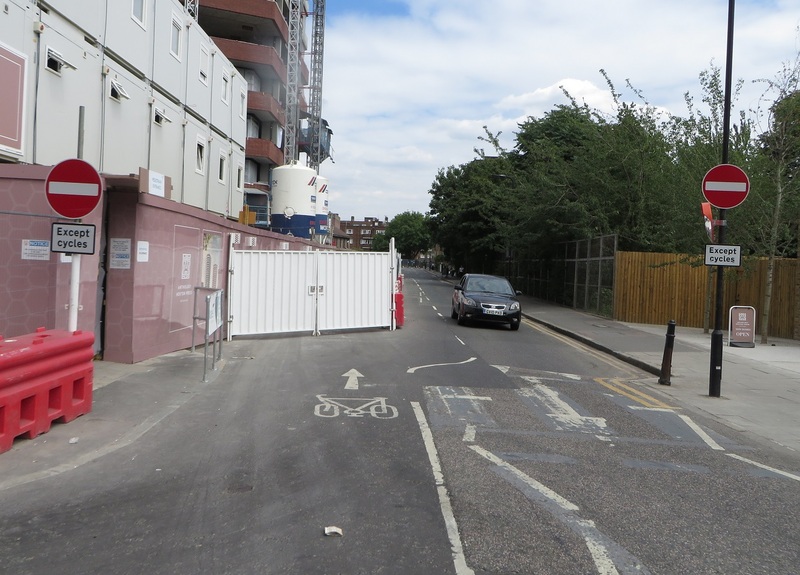 What could have been a golden opportunity to create genuine world class cycle facilities for the families due to move into the Colville Estate has been squandered. Even on dedicated cycle quietways the motor car remains at the top of the hierarchy in Hackney. 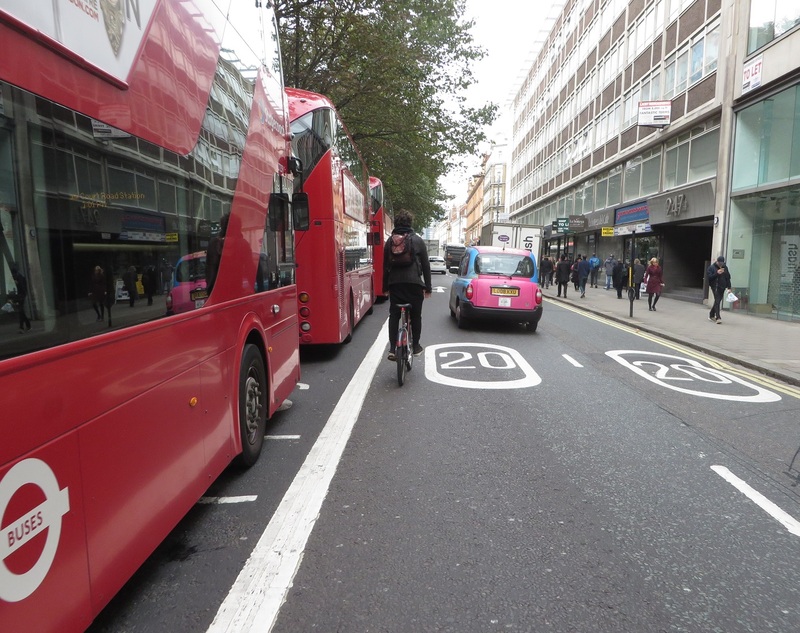 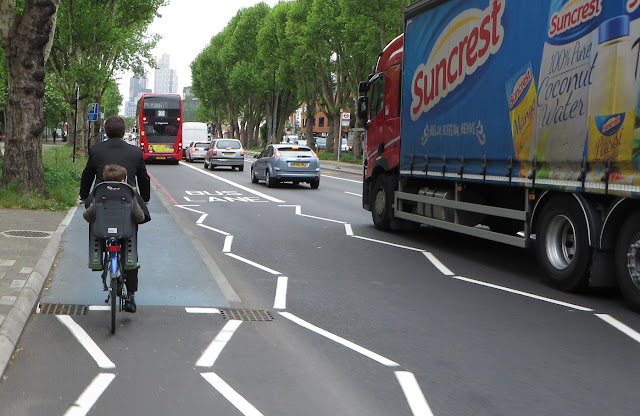 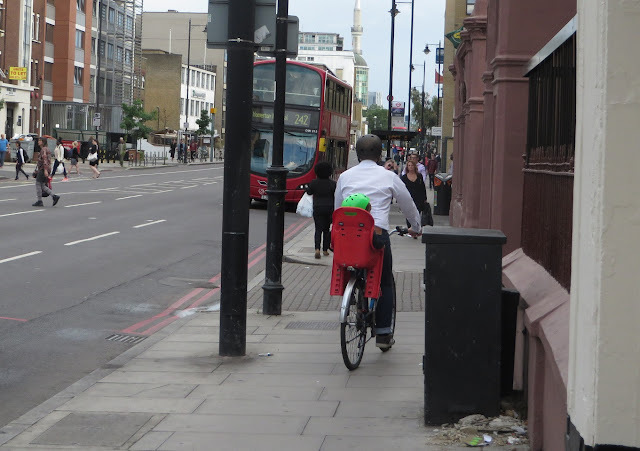 In late 2016 Hackney Council consulted on improving a section of the Central London cycle grid in Hoxton, and I wrote about it here whilst the consultation was still open. This section of road was historically known as LCN+ route 16 but is now referred to as the Central London Grid, which forms part of the 'wider quietway route'. 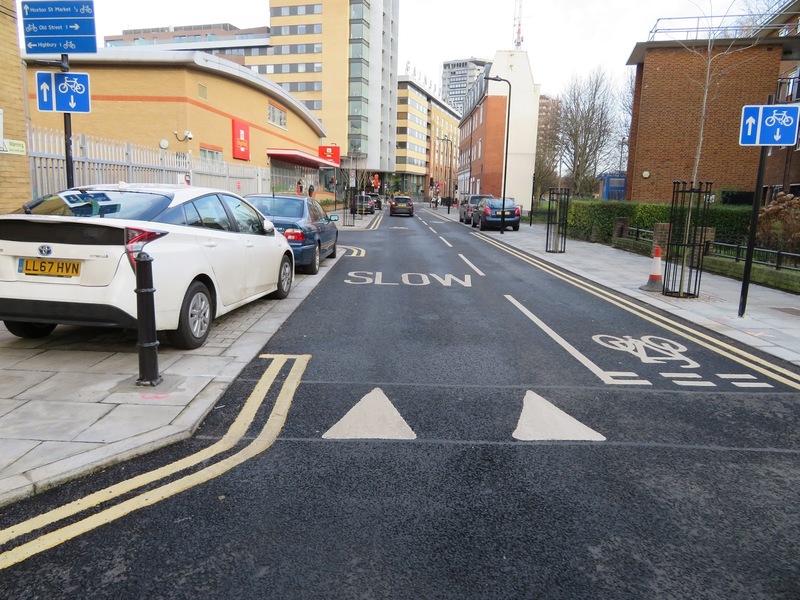 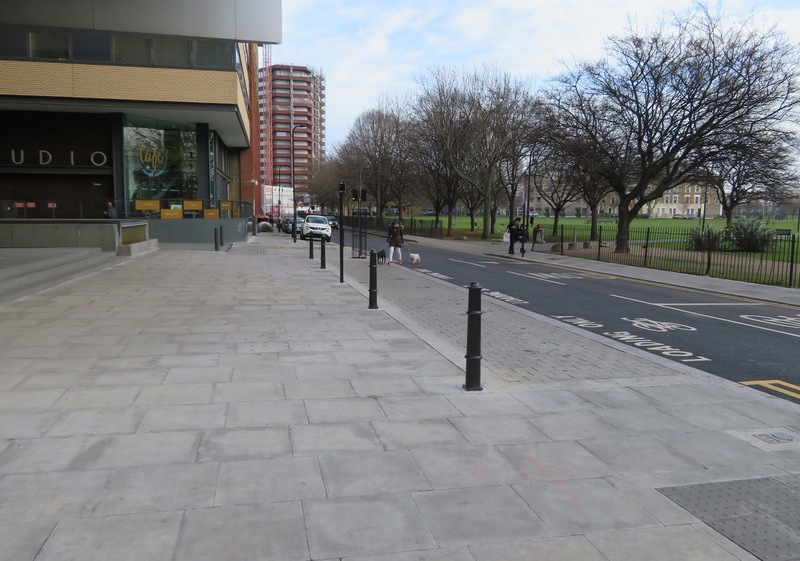 These cycling improvements were fully funded by TFL, at a cost of £640,000, as part of the Mayor of London's vision for cycling in London programme but were designed and implemented by Hackney Council. The main change on the quietway itself was the redevelopment of the crossroads where the quietway crosses New North Road. 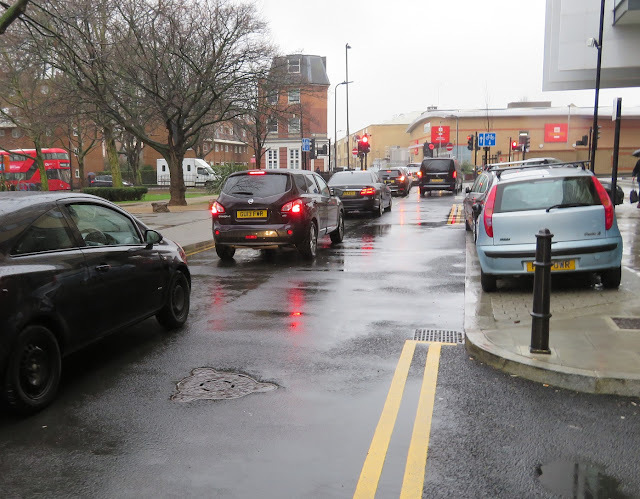 Previously you had to try and cross the main road with no assistance, although there was a pedestrian crossing around 30 metres south of this junction which did assist a little. 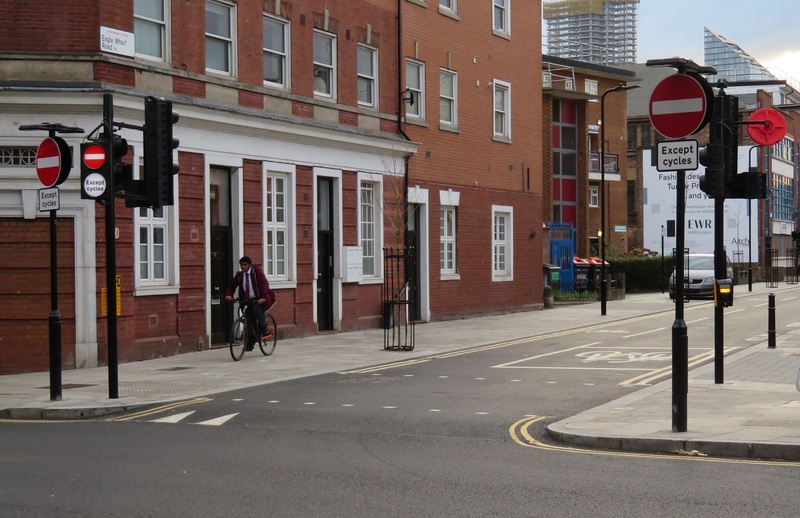 The original consultation proposed to close both Poole Street and Eagle Wharf Road to motor traffic and then to install four pedestrian crossings at the crossroads, removing the one further south. 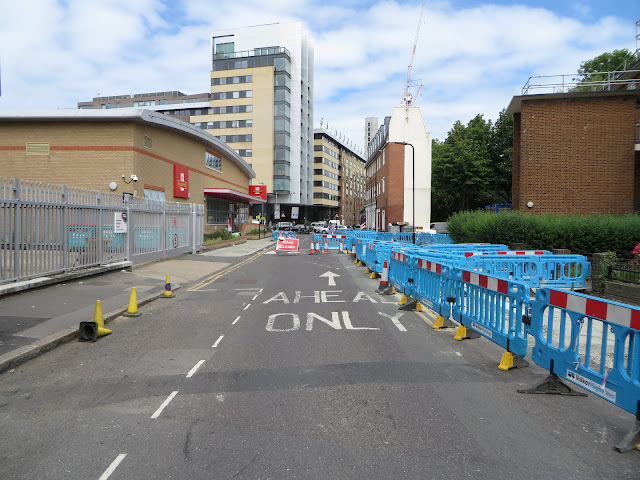 "The use of physical barriers to stop motorised traffic gaining access onto Poole Street and Eagle Wharf Road is not desirable as it can cause delays for emergency services in the event of an emergency"
"The road closure at Sturt Street will be implemented using fixed and lockable barriers that allow access for emergency vehicles and cyclists when required"
Which is what has occurred, so I'm unsure why this was viable to do here but not at the New North Road junction. "The London borough of Islington was consulted before the consultation document was distributed. 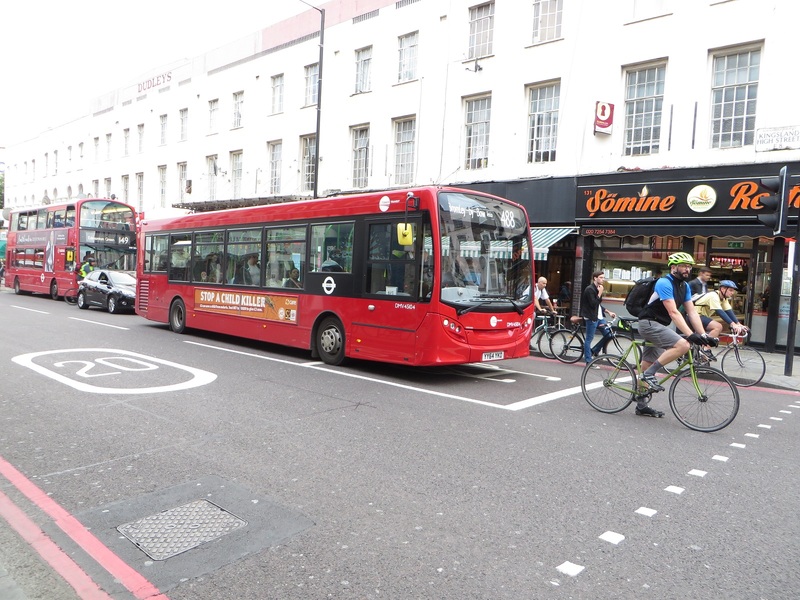 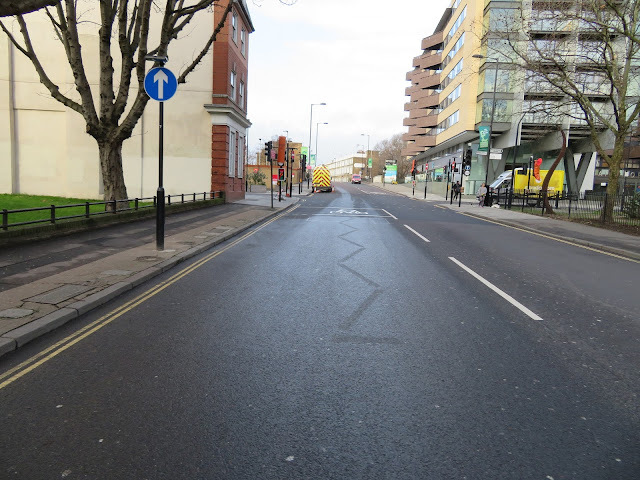 After the consultation period the Lead Member for the London Borough of Islington submitted a formal objection to the proposals with concerns on the impact of rerouting traffic from Poole Street to Baring Street. 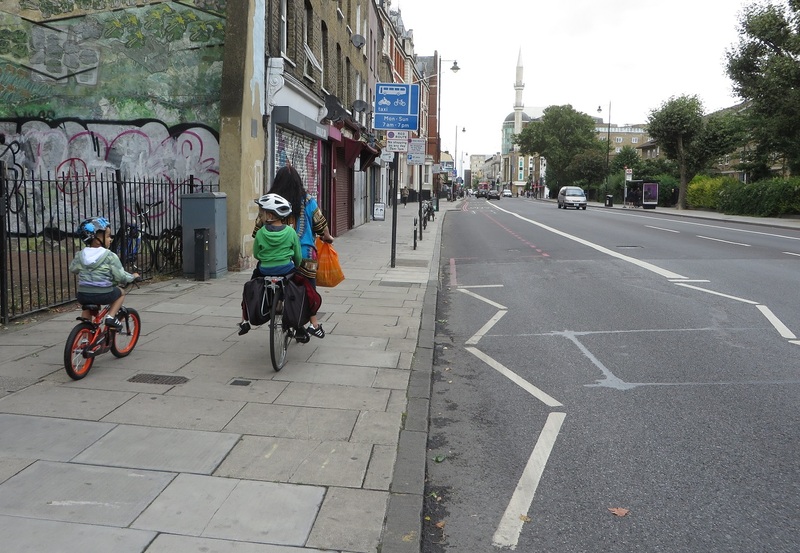 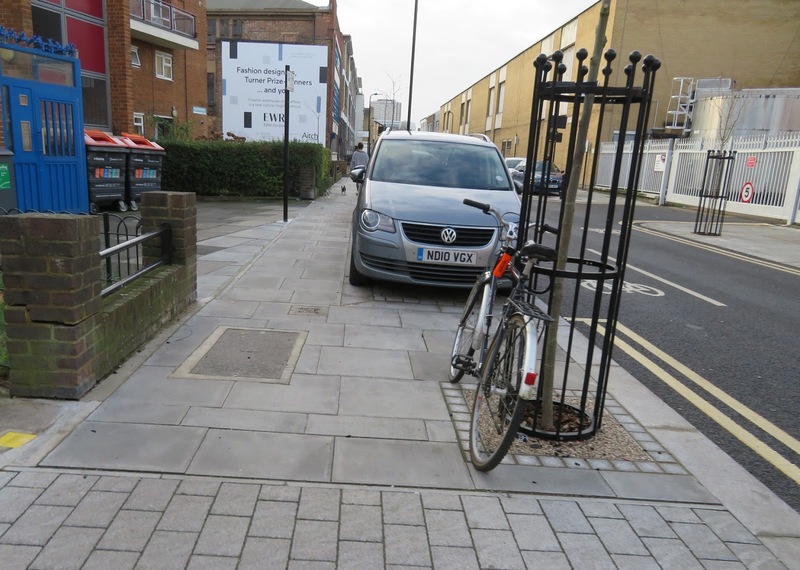 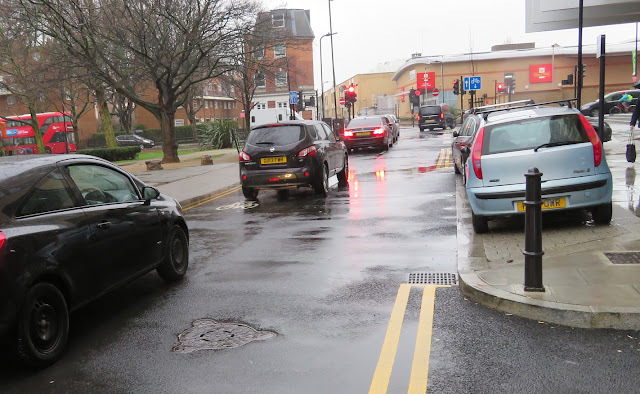 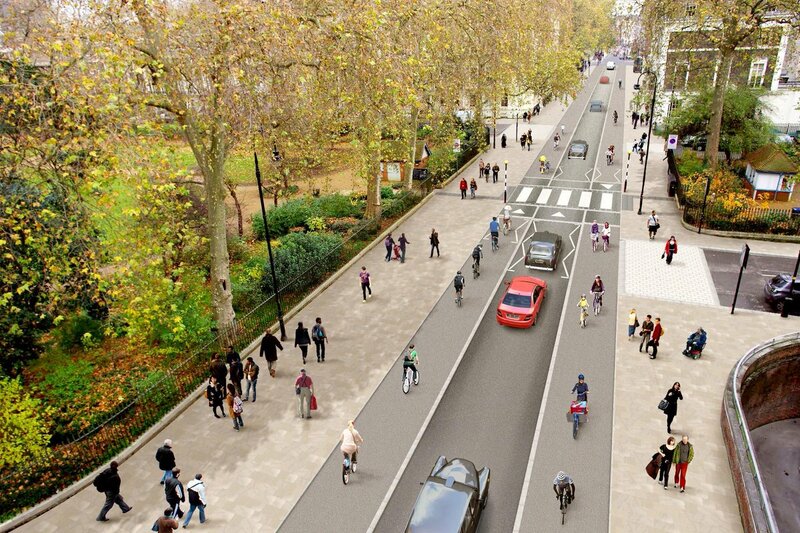 A solution that does not negatively the London Borough of Islington road network was reached. 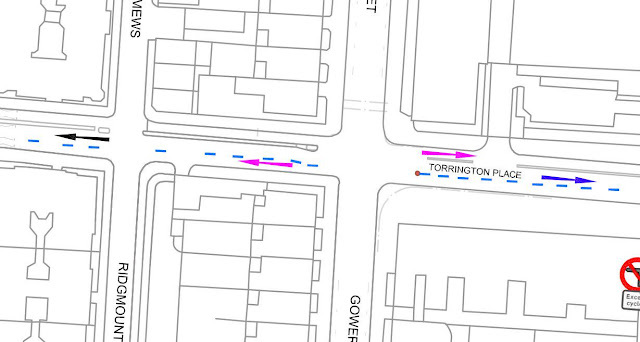 A 'right turn' ban will be introduced at Eagle Wharf Road to allow left turning to gain access onto New North Road while left and right turning vehicular traffic will be able to come out of but not into Poole Street"
So, the layout remains almost exactly the same as it was and, crucially, the plans to close these two roads to vehicular traffic have been dropped. 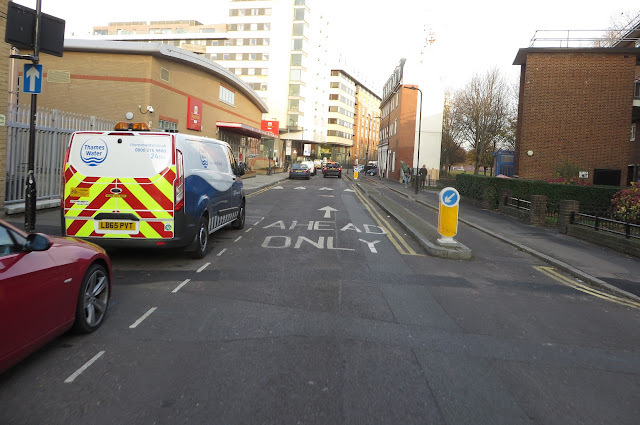 This means that motor traffic can, and will, continue to use Shepherdess Walk and Eagle Wharf Road as a shortcut from City Road and to the east of this junction car drivers can use the "quietway" as a route all the way from Hackney Road through to New North Road via the terrible lorry rat run Whiston Road quietway, which I have also written about previously here. 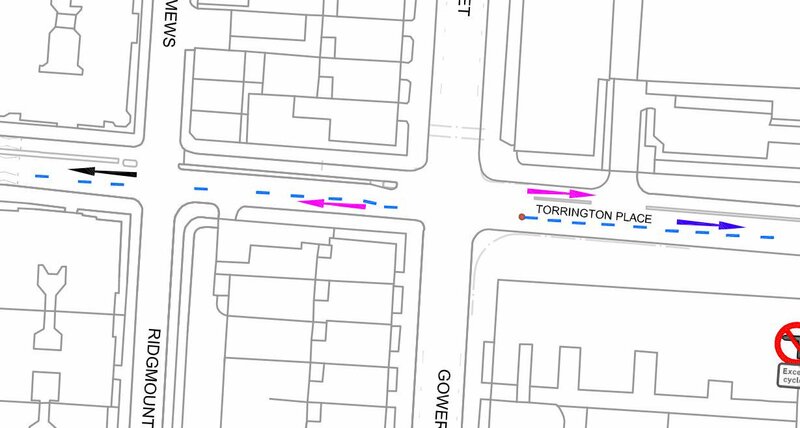 These traffic lights would work fine if the junction was cycles only but under these revised plans this is a serious design issue. 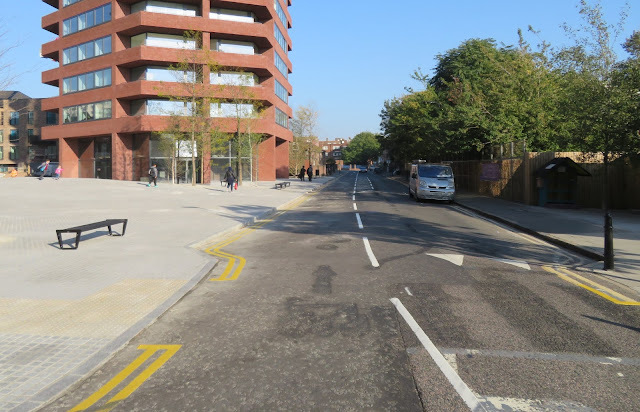 If you're cycling south on New North Road and want to turn right onto the cycle grid to cycle into Central London, as many people here do, then the original plan for the cycle waiting area in the middle of the road has also been dropped. This means you now wait in the middle of a very wide road with cars driving directly towards you, as they prepare to get into the right filter lane directly after this junction to turn into Baring Street. 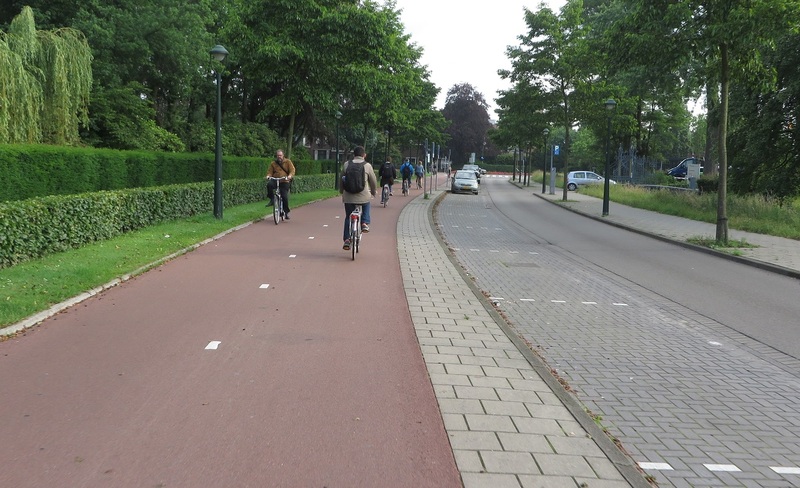 It is a really dangerous layout and best described in this forum post. 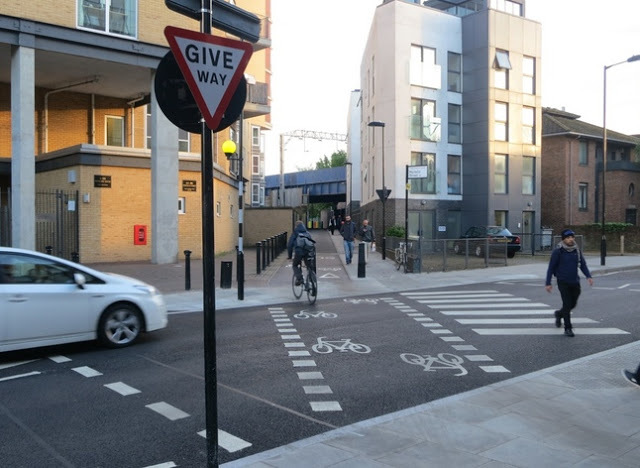 I'm afraid Phillip Glanville, the Mayor of Hackney, is wrong when he says these designs are "a far better more liveable set of crossings, junctions and filtering". 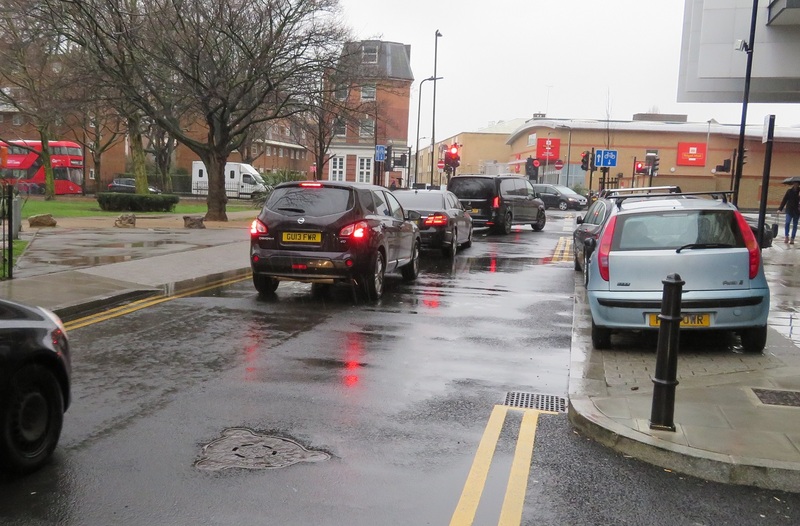 The signals do make it safer to cross New North Road at this junction but the situation on both Poole Street and New North Road is worse with the protected cycle infrastructure removed and cycling on New North Road is now far worse than it was. 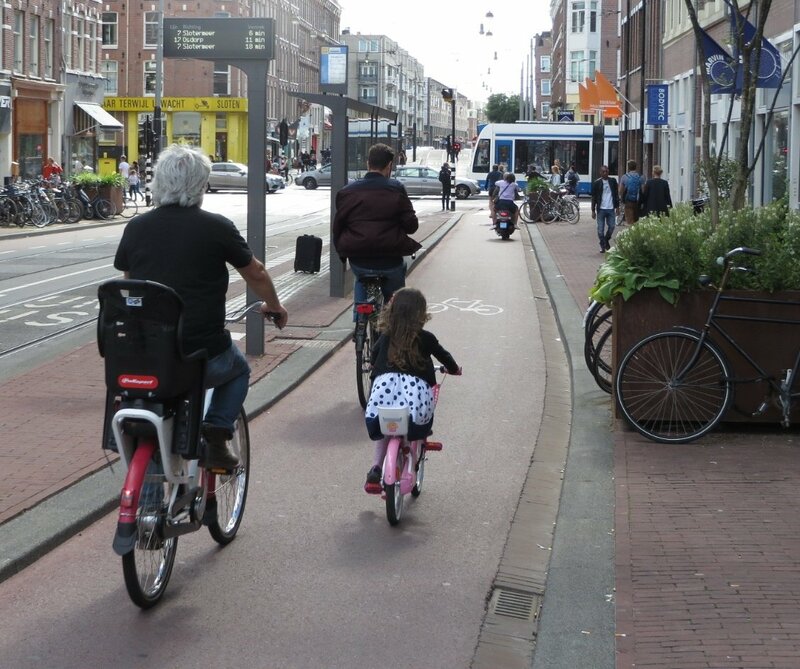 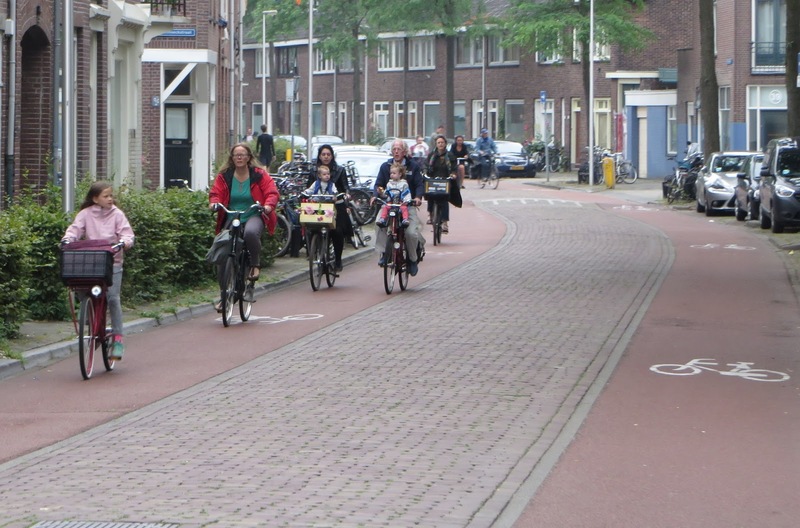 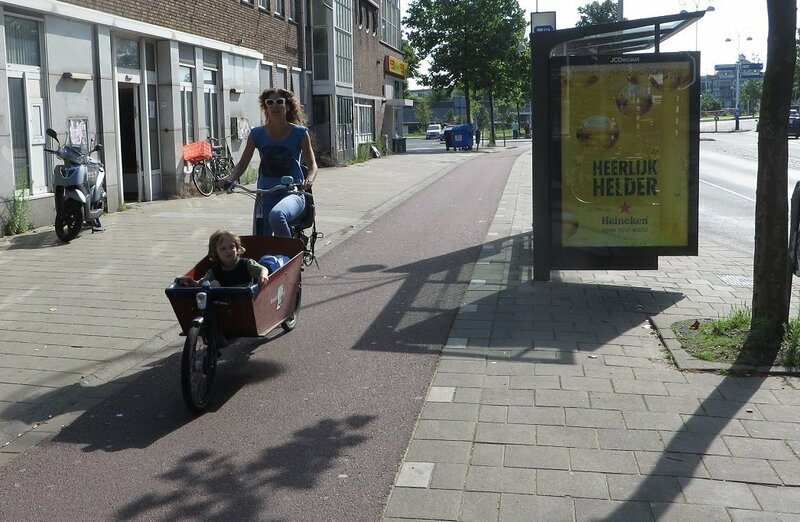 A real missed opportunity to create safer cycling conditions, suitable for all.